On Saturday, 22 October 2016 a one-day conference was held in St. Patrick’s College, Drumcondra, which marked the launch of the preparations for the World Meeting of Families which will be held in Dublin in August 2018. Those who addressed the conference included the co-chairs of the Council for Marriage and the Family of the Irish Bishops’ Conference, Archbishop Eamon Martin of Armagh and Archbishop Diarmuid Martin of Dublin who, along with over 600 delegates, participated in what was a very well organised and inspirational occasion. Saturday’s conference was entitled “The Joy of Love, Amoris Laetitia and the World Meeting of Families in Ireland” and included over 600 representatives from Irish dioceses and parishes, and from abroad, as well as more than twenty organisations whose mission is to support the sacrament of marriage and offer pastoral outreach to families. Drawing on key themes from Amoris Laetitia, the recent apostolic exhortation of Pope Francis, the conference offered strong personal reflections on the joys and challenges of family life today, including moving interviews with a Syrian refugee family living in Ireland, with a homeless woman, and much more. The conference also included three powerful moments of prayer. 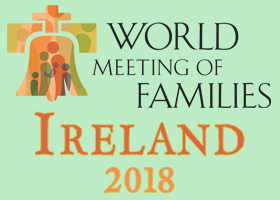 This conference marked the start of the formal preparations for the Ninth World Meeting of Families, an international pastoral event which will take place in Dublin from 22 to 26 August 2018. 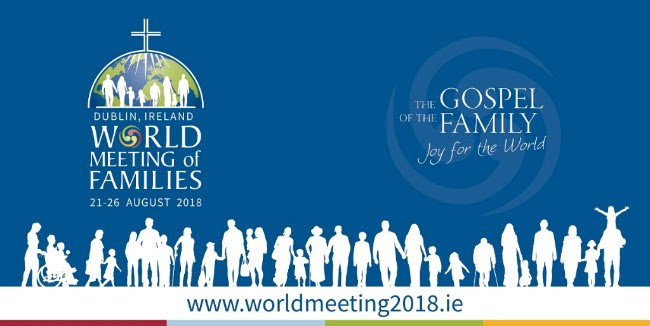 Pope Francis asked for the 2018 World Meeting of Families to take place in Dublin with the theme “The Gospel of the Family: Joy for the World”.  Archbishop Diarmuid Martin is the President and host, and Father Timothy Bartlett is its Secretary General. The co-chairs and Fr. Bartlett, emphasised that the personal decision of the Holy Father to nominate Dublin as the host diocese for the next World Meeting of Families, is, notwithstanding the enormous amount of work involved in preparing for it, a huge gift to and for the Irish Church. The World Meeting of Families takes place every three years, and is coordinated by the Vatican’s Dicastery for the Laity, Family and Life. Established by Pope Saint John Paul II in 1992 as a pastoral initiative, its aim is to strengthen the sacred bonds of the family unit across the globe. The first World Meeting of Families took place in Rome in 1994, the International Year of the Family. Every three years since 1994, families from all over the world are invited by the Holy Father to attend this global gathering. During a World Meeting, families come together to share experiences, to dialogue, to pray and work together to grow as individuals and as family units. Delegates participate in discussion groups on the role of the Christian family in the Church and society, and are addressed by distinguished speakers. The most recent World Meeting took place in Philadelphia in September 2015.